As we go through life we are all on a journey, all seeking secure refuge, yet do we see ourselves as refugees? Wednesday 22 July 10am-1pm, meeting at Trinity United Church, Banstead Terrace East, LS8 5PX at 10am. 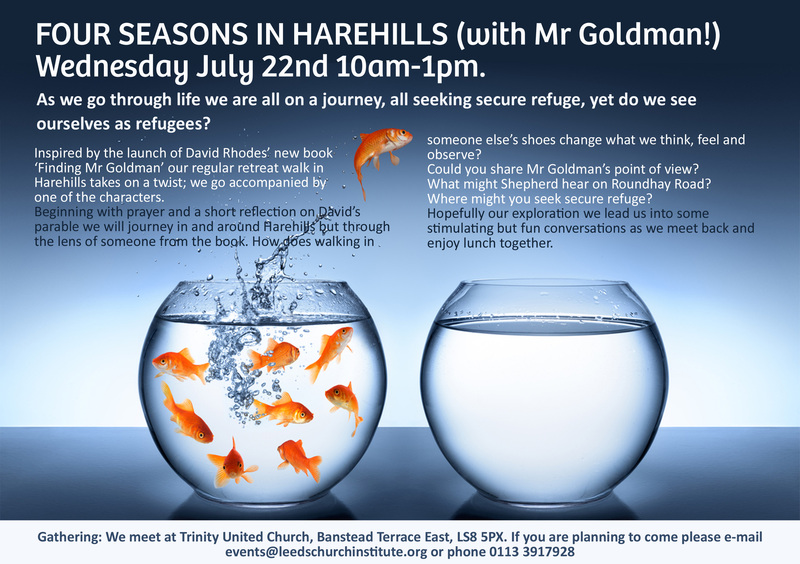 If you are planning to come please email events@leedschurchinstitute.org or phone 0113 391 7928.